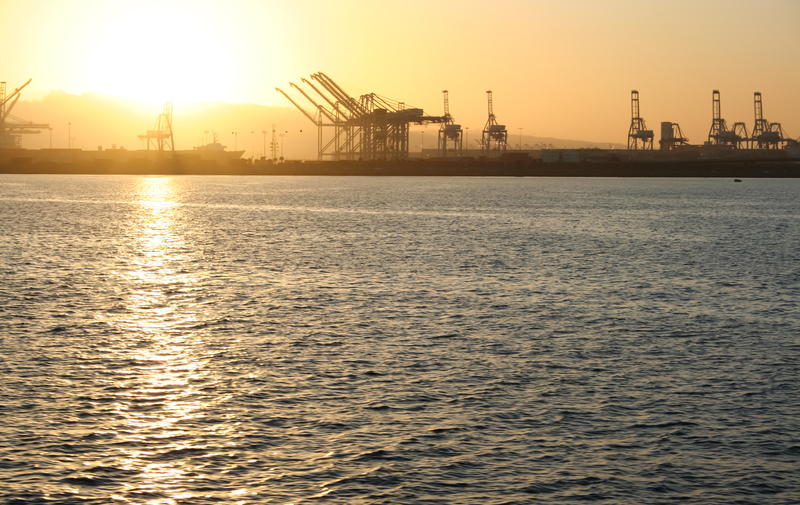 As shippers and carriers on the transpacific prepare for the annual contract negotiating season – which kicks off with the Journal of Commerce’s Transpacific Maritime (TPM) convention next week on Long Beach – industry analysts have predicted planned capacity increases on the trade could bring long-term rates under further pressure. Alphaliner has calculated that capacity between Asia and the US west coast is likely to increase by 8% by July, with new services already announced by APL and South Korea’s SM Line. In addition, the Ocean Alliance is expected to increase capacity by around 10% across its services as it cascades larger vessels onto the trade, with one service – the PSW6 – expected see ship sizes increase from 8,000 teu to 13,000 teu. The analyst said THE Alliance had been upgrading its vessel sizes by a similar magnitude over the past year and, while the 2M partners have yet to finalise their transpacific fleet deployment, Alphaliner believes Maersk and MSC could “phase newbuildings of 10,000-15,000 teu into the trade, as well as ships of 13,000-15,000 teu, cascaded from the Asia-Europe routes where more ‘megamax’ ships of 18,000 teu-plus will come onstream and set tonnage free for redeployment”. Volumes on the route are expected to grow by a healthy 5-6%, it added, following 2017 growth of 4.4% as the US economy continues its strong upward trajectory, but the higher increase in additional slots could prove to be a key bargaining chip for shippers as they sit down with carriers to set this year’s annual rate levels. “The planned capacity increases will have an impact on the rate negotiations for the new annual transpacific service contracts from 1 May and spot freight rates are expected to come under pressure as vessel utilisation falls, ” it said. “After the brief recovery of January and February, SCFI spot rates are expected to register falls in the coming weeks as demand slows after the lunar new year holidays in the Far East. Spot rates could once again test the key $1,000 per feu level to the US west coast and the $1,600 per feu level to the USEC,” it added. However, shippers are being presented with a more diverse service array. APL’s Eagle Express service due to launch in July will offer an 11-day transit time between Shanghai and Los Angeles, which will be second only to Matson’s 10-day China-Long Beach service in terms of speed. Meanwhile, SM Line will introduce a link between Asia and the US Pacific north-west in May with the launch of its PNS in May, and is expected to deploy six ships of 4,000-4,600 teu, adding to its only existing service between Asia and southern California.